Move over the Coen Brothers, there is a new film making duo in town, and this time they are Welsh! Milo is a professional hit man living on the edge. When failing to fulfill a contract for the first time, he escapes the city to avoid the wrath of his employers. Hiding out in a remote rural village, the locals mistake him for the new baker. But as the villagers discover his true identity and begin securing his services, things start to get messy. He’s about to discover that you can’t have your cake and eat it. 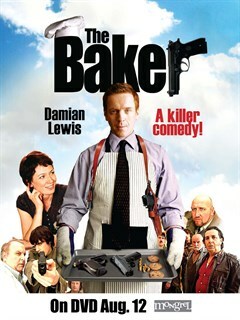 The Baker is a killer comedy starring top British talent, including Damian Lewis (Band of Brothers), Michael Gambon (Harry Potter) and Kate Ashfield (Shaun of the Dead).